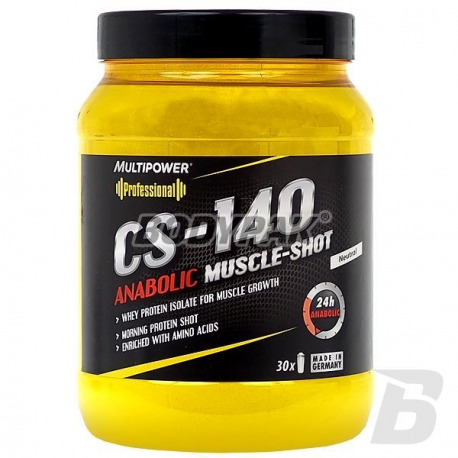 Multipower CS-140 is a whey protein isolate, tasteless suited perfectly to dissolve in the juice, drink isotonic creating the perfect blend of protein, carbohydrates and macronutrients after a hard workout. 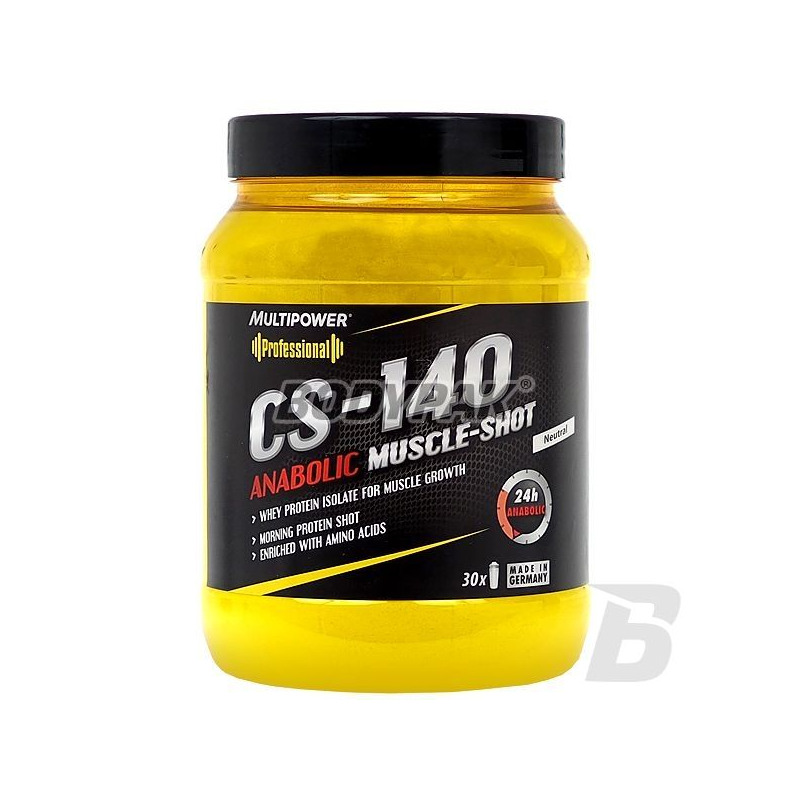 High-protein nutrient Multipower CS-140 is obtained from pasteurized whey in a process of selective ion exchange. This unique technology allows the separation of fundamental importance in terms of nutritional functional proteins, found in whey - betalaktoglobuliny and alfalaktoglobuliny. Also allowed for the complete elimination of nutrients CS-140 lactose - milk sugar - which is the cause of all the stomach problems associated with the consumption of dairy products. This is how the protein supplement is characterized by the highest possible to obtain assimilation - BV 159 - which provides a very strong anabolic properties. Ingredients: whey protein isolate (91.3%), l-tyrosine (2.8%), calcium lactate, l-valine (1.4%), magnesium carbonate, l-methionine L-lysine (0.2%), sweetener (sucralose), l-leucine (0.1%), vitamin C (as l-ascorbic acid), niacin (as niacinamide) Pantothenic (as D-pantothenate calcium), vitamin B6 (as pyridoxine hydrochloride), vitamin B1 (as thiamine hydrochloride), vitamin B2 (as riboflavin), emulsifier: soy lecithin .